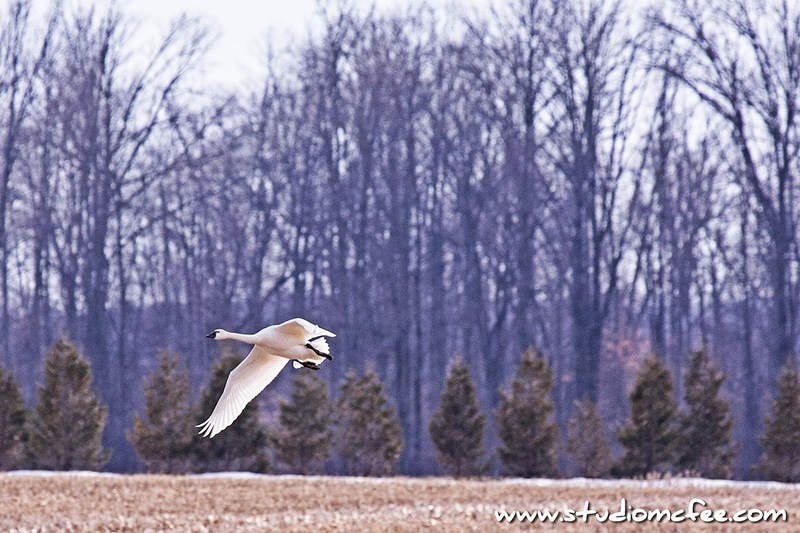 Each spring, the Tundra swans arrive back on the north shore of Lake Erie near the town of Aylmer, Ontario. They eat a lot of left over corn and then continue on their way north. It is difficult to get close to these big birds; any disturbance and they take to the air. And for their size, they are surprisingly quick and graceful. I think this photo demonstrates the strength and power of those magnificent wings. Nature continues to amaze.